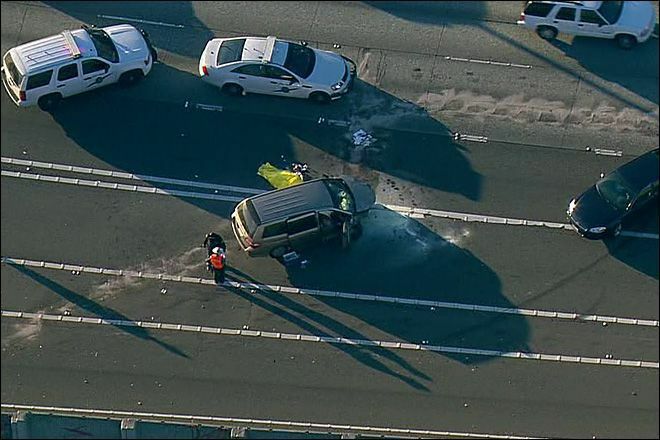 Officials with the Washington State Patrol (WSP) believe that the man who died in a tragic car accident on Interstate 5 Friday experienced a sudden medical episode that may have caused the collision. According to news reports, the crash occurred on I-5 near the U.S. 2 junction just after 3 p.m. Friday, right before the evening commute began. The driver, identified only as a 94-year-old man, was driving a Honda Odyssey van with his 86-year-old wife in the passenger’s seat when he rear-ended a Ford Fusion. The impact from the crash caused the Honda van to spin out of control before colliding with a concrete barrier and striking a third vehicle. The driver of the Ford Fusion was identified by police as a 38-year-old woman from Lynnwood, and she declined an ambulance. Trooper Mark Francis said she later went to the hospital to receive medical treatment for minor injuries she suffered in the crash. The driver of the third vehicle was uninjured. The 94-year-old man was killed in the crash and was pronounced dead at the scene. His 86-year-old wife was taken to a nearby hospital for treatment of her injuries, though they weren’t believed to be life-threatening. Insurance policy contracts typically contain language that specifically excludes coverage in the event of what is referred to as an “Act of God,” meaning that the insurance policy will not provide coverage to a person who is injured as a result of this type of incident. An “Act of God” defense refers to something that was unforeseen and therefore unrealistic to be able to predict or place blame on a particular party for the damages that may have resulted. It is unclear exactly whether a medical condition played a factor in this particular crash, but the WSP’s initial response and commentary suggests it is a distinct possibility. The outcome of the police investigation into this particular collision will be important for all victims of this crash when it comes to pursuing a personal injury claim for damages resulting from the crash. It will also be important for anyone who may have suffered damages from the collision to have a clear understanding of their insurance policy contracts and whether or not they would be covered for this incident.